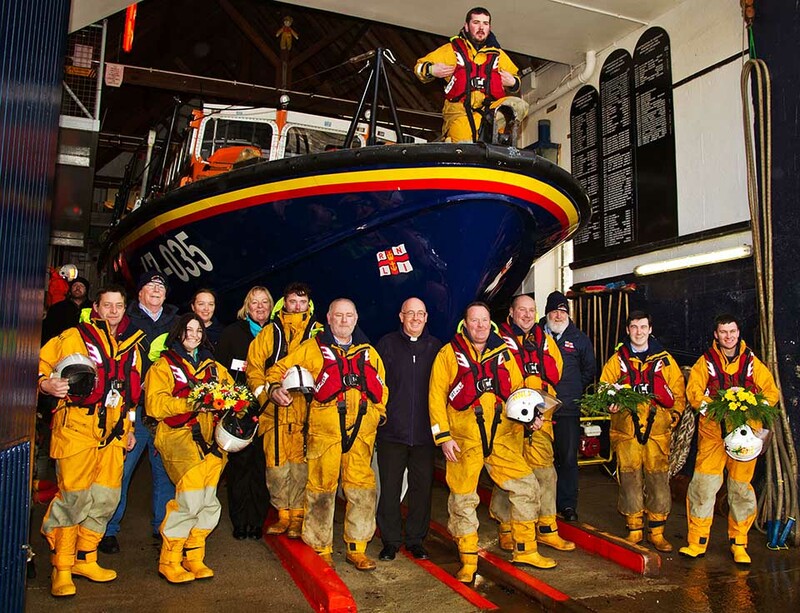 Wicklow RNLI inshore Lifeboat was launched at 4:40pm on Friday (8th March) to search for a missing dog. The alarm was raised by the anxious owner, after her dog named Otis, chased some sea gulls down over the cliff edge at Wicklow Head and went missing. 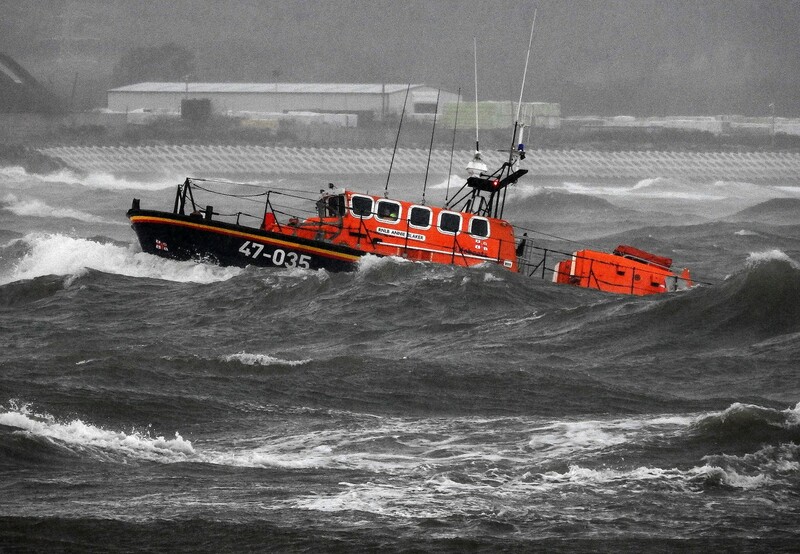 The lifeboat was on scene eight minutes after launching and the crew began a sweep of caves and the shoreline at a location known as the Pond, near Wicklow Head lighthouse. The dog could be heard barking from a cave during the search, so crew member John Stapleton was put ashore near the cave and with some persuading, the dog climbed back up the cliff and into the arms of his grateful owner. The crew on the callout were: (Helm) Graham Fitzgerald, Ian Thompson and John Stapleton.